Latest data from the Real Estate Institute of New Zealand (REINZ) reveals a 1.4% rise in Auckland prices to $852,000 in August. 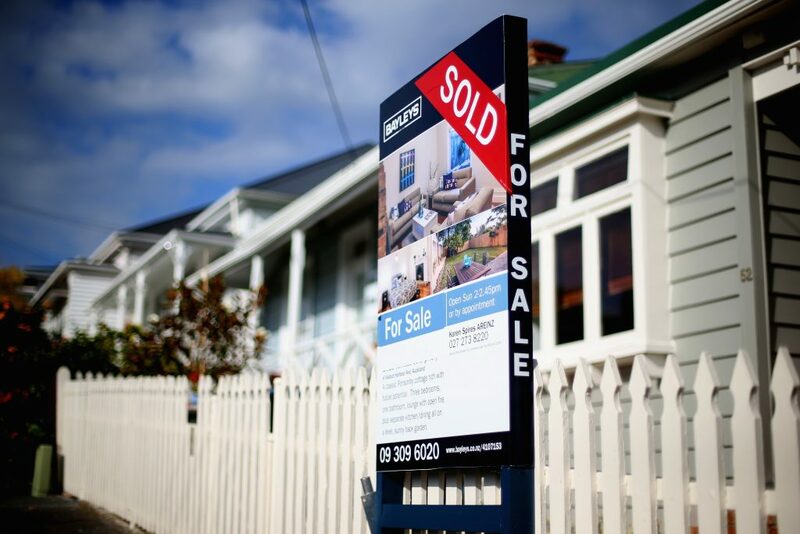 This helped push median house prices for New Zealand 3.6% higher year-on-year to $549,000. For New Zealand excluding Auckland, the increase was even greater with a 6.2% annual increase from $428,500 to $455,000. Only two regions saw a fall in median price year-on-year – Canterbury with a decrease of -0.5% to $425,000 and Southland with a decrease of -4.0% to $240,000. Waikato: +9.4% to $525,00 an equal record with June 2018. “Above average temperatures for New Zealand in the final month of winter has had a positive impact on the real estate industry with prices increasing in 14 out of 16 regions across the country,” REINZ Chief Executive Bindi Norwell notes. “The middle of the North Island and top of the South Island continue to see strong prices achieved as low listing numbers continue to drive prices upwards in these popular areas. Breaking the Super City down into its old regional boundaries has shown that areas with solid annual median price increases were Manukau and Waitakere Cities with rises of 10.1% and 5.1% respectively. “Whereas, North Shore City saw a fall of -14.6% year-on-year to a median price of $915,000 the lowest median the North Shore has seen since January 2016,” she continues. The number of houses sold in New Zealand during August increased by 3.1% or an additional 188 properties, when compared to the same time last year (from 6,028 to 6,216). For New Zealand excluding Auckland, the number of properties sold increased by 5.6% an additional 233 properties when compared to August 2017 (from 4,191 to 4,424). In Auckland, the number of properties sold decreased by -2.4% or 45 fewer properties, from 1,837 in August 2017 to 1,792 in August 2018. Waikato: +12.1% (from 612 to 686 – an additional 74 houses). Northland: -4.8% (from 187 to 178 – 9 fewer houses) – the lowest since January 2018. “We’ve seen some mixed results this month in terms of volumes with nine out of 16 regions seeing an increase in volumes year-on-year,” Norwell explains. “However, those increases were enough to pull the national figure up with a 3.1% increase recorded across the whole country. “As we head into spring, we expect more listings to come to the market which will naturally result in more sales, so we may expect the overall numbers to be even stronger in the coming months,” says Norwell. The REINZ House Price Index for New Zealand, which measures the changing value of property in the market, increased 4.1% year-on-year to 2,723 a new record high for the country. The HPI for New Zealand excluding Auckland increased 8.0% from August 2017 to a new record high of 2,610. The Auckland HPI increased 0.2% year-on-year to 2,860. For the second month in a row, the REINZ HPI again saw all 12 regions experience an increase over the past 12 months, highlighting the continued strength of the property market. This month the Manawatu-Wanganui region had the highest annual growth rate of 17.2%, followed by Southland in second place with an annual growth rate of 16.9% and in third place was Otago with a 13.6% annual increase. The median number of days to sell a property nationally remained flat at 37 days when compared to August 2017. For New Zealand excluding Auckland, the median days to sell decreased on an annual basis by one day from 36 to 35. Auckland saw the median number of days to sell a property increase by two days to 42 days (up from 40 in August 2017) – the highest median days to sell for the month of August for 10 years. Regions with the biggest decrease in the median number of days to sell annually were West Coast (-38 from 79 to 41) the lowest median days to sell since March 2015, Taranaki (-11 from 46 to 35) and Southland (-11 days from 37 to 26). Regions with the biggest increase in the median number of days to sell were Marlborough (+18 from 31 to 49), Canterbury (+4 from 37 to 41 – the highest for the month of August for 10 years and Nelson (+3 from 28 to 31). Auctions were used in 12.4% of all sales across the country in August, with 769 properties selling under the hammer – this is down slightly from August 2017, when 13.3% of properties (804) were sold via auction. For the seventh month in a row, Gisborne had the highest percentage of auctions across the country with 37.5% (or 21 properties) in the region sold under the hammer – up from 22.9% (11 properties) in August 2017. Auckland saw the second largest percentage of auctions on 22.5% (403 properties) down marginally from 23.0% in August 2017 (422 properties) followed by the Bay of Plenty on 16.0% (70 properties) down from 19.7% (92 properties) in August 2017. The number of properties available for sale nationally decreased by -1.6% from 21,555 to 21,207 – a decrease of 348 properties compared to 12 months ago. This is the lowest level of inventory for 13 months (since July 2017). For the first time in 3 months, more than 3 regions posted an increase in annual inventory levels. August saw five regions with an annual increase in inventory levels – Nelson (+18.8% – from 271 to 322 – an additional 51 properties), Waikato (+12.7% from 1,434 to 1,616 – an additional 182 properties), Canterbury (+11.7% from 2,979 to 3,328 – an additional 349 properties) and Bay of Plenty (+0.8% from 1321 to 1332 – an additional 11 properties). Auckland’s annual inventory increased by 1.1% (from 7,731 to 7,817 – 86 more properties). West Coast – down -16.2% (from 575 to 482 – 93 fewer properties). Wellington again has the lowest level of inventory with seven weeks’ inventory, followed by Hawke’s Bay on eight weeks and both Manawatu/Wanganui and Otago regions with nine weeks’ inventory available to prospective purchasers. The number of homes sold for less than $500,000 across New Zealand fell from 46.0% of the market (2,770 properties) in August 2017 to 44.0% of the market (2,732 properties) in August 2018 which is reflected by the overall increasing median price across the country. The number of properties sold in the $500,000 to $750,000 bracket increased marginally from 27.3% in August 2017 (1,647 properties) to 28.2% in August 2018 (1,752 properties). At the top end of the market, properties sold for more than $1 million decreased ever so slightly from 13.3% in August 2017 (802 houses) to 13.2% in August 2018 (819 houses). “New Zealand’s housing market has finished winter in a solid position, as indicated by the record high in the REINZ House Price Index,” Norwell says.